O Velho e o Mar é, porventura, a obra-prima de maturidade de E. Hemingway. Santiago, um velho pescador cubano, minado por um cancro de pele que o devora cruelmente, está há quase três meses sem conseguir pescar um único peixe. Vai então bater-se, durante quatro dias, com um enorme espadarte, que conseguirá de facto capturar, para logo o ver ser devorado por um grupo de tubarões. Esta aventura poética, onde Hemingway retrata, uma vez mais, a capacidade do homem para fazer face e superar com sucesso os dramas e as dificuldades da vida real, é seguramente uma das suas obras mais comoventes e aquela que mais entusiasmo tem suscitado, ao longo de mais de meio século, entre os seus fiéis leitores. O Velho e o Mar recebeu o Prémio Pulitzer, de 1952, e, dois anos mais tarde, valeu a Hemingway a obtenção do Prémio Nobel da Literatura. Santiago, an old Cuban fisherman who has not caught a fish for eighty-four days, goes far out to sea in his skiff alone because the young boy Manolin, who has fished with him and served him in the past, is prevented from continuing to do so by his parents, who are convinced that the old man has salao, bad luck. Santiago kills a giant marlin after fighting it for three days, lashes it alongside his skiff, and sails for home only to have his fish attacked by sharks during the night and devoured despite the old man's valiant efforts to kill them or drive them away. The morning after Santiago's return Manolin finds the old man sleeping in his palm shack, cries, brings him coffee, and pledges to replace lost equipment and to fish with him again, for there is much that he can learn. When the boy leaves, the old man is dreaming of lions on a beach which he saw in Africa in his youth from a square-rigged ship. 1. What is suggested when Manolin says to Santiago that his father "hasn't much faith" (p. 10) but that he, himself, "would like to serve in some way" (p. 12)? Does this offer of Manolin's asking to throw the "cast net" (p. 16) echo the Bible and underscore the boy's respect for Santiago? Why is Santiago so worthy of Manolin's respect? 2. Why is the boy so important to Santiago? Despite his bad luck, Santiago's hope and confidence remain, even "freshening as when the breeze rises" (p. 13) as the boy helps him prepare for his next fishing trip. What does this statement indicate about the role Manolin plays in Santiago's life? Could "the boy" be regarded as a metaphor? How? 3. 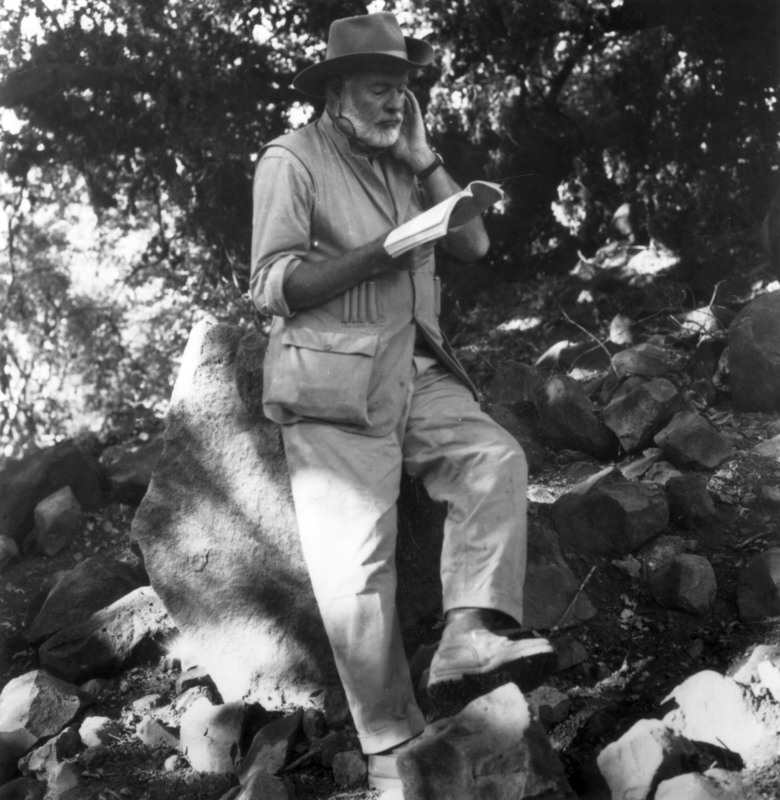 Like other Hemingway characters, Santiago is very much alone, "beyond all people in the world" (p. 50); yet he says, "No man was ever alone on the sea" (p. 61). Why? Does he feel joined with the creatures and universe or strengthened and sustained by them in any way? Do his dreams of the lions or reflections about his earlier strength support him? 4. Although determined to kill the fish, Santiago says that he loves and respects it, and on the third day of his struggle he says, "Never have I seen a greater, or more beautiful, or a calmer or more noble thing than you, brother. Come on and kill me. I do not care who kills who" (p. 92). Is Santiago ennobled by his fight? Does it define his character? 5. How does the story of Santiago confirm the presence of two themes prevalent in Hemingway's fiction: "the undefeated" and "winner take nothing"? Santiago says, "A man can be destroyed but not defeated." Do you agree? Can the novella be read as an allegory, a story with levels of meanings? Is it merely Santiago's story, or our story also? The Old Man and the Sea was acknowledged as a masterpiece even before its publication, and Life magazine took the unprecedented step of publishing the entire text in its September, 1, 1953, issue, which sold over 5 million copies in two days. Since its first appearance, the novella has continued to affect readers of all ages profoundly. It has never been out of print. Two film versions of the novella have been produced, the first involving Hemingway's participation, which stars Spencer Tracy, and a more recent version starring Anthony Quinn. In 1999 IMAX is releasing worldwide its animated movie of The Old Man and the Sea. Hemingway's Esquire "fictionalized" non-fiction articles (1933-1936): "Marlin Off the Morro: A Cuban Newsletter" (1933); "Out in the Stream: A Cuban Letter" (1933); and "On the Blue Water: A Gulf Stream Letter" (1936), which contains the old fisherman sketch that was the inspiration for the novella, are available in By-Line: Ernest Hemingway (Touchstone Books). 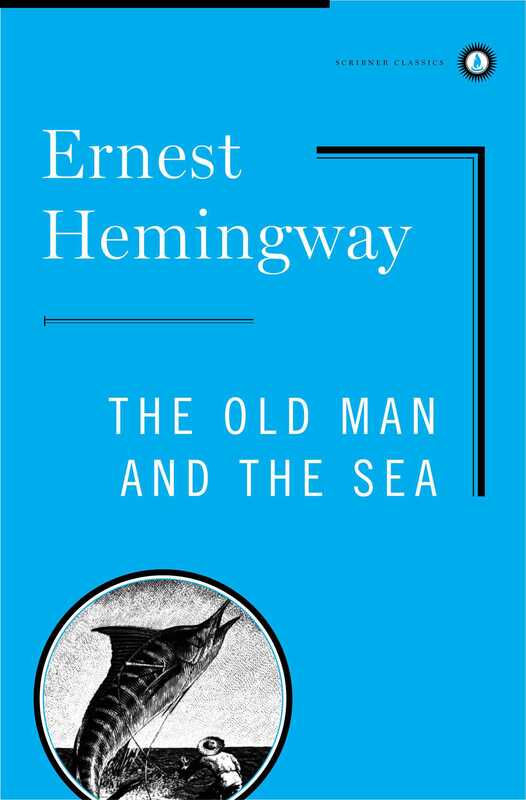 These articles display Hemingway's considerable knowledge of big-game fishing, in particular the marlin, the subjects about which he would write in The Old Man and the Sea.